Destination weddings are becoming more of a common trend than in years past. Offering the bride and groom endless amounts of options that they may not normally have back home. Shooting a day-after photography session is one of our favorite destination wedding options for the newly married couple! This past July we photographed Alana & Evin’s beautiful destination wedding overlooking the Atlantic ocean in Searsport, Maine & we followed it with a day-after session the next day! 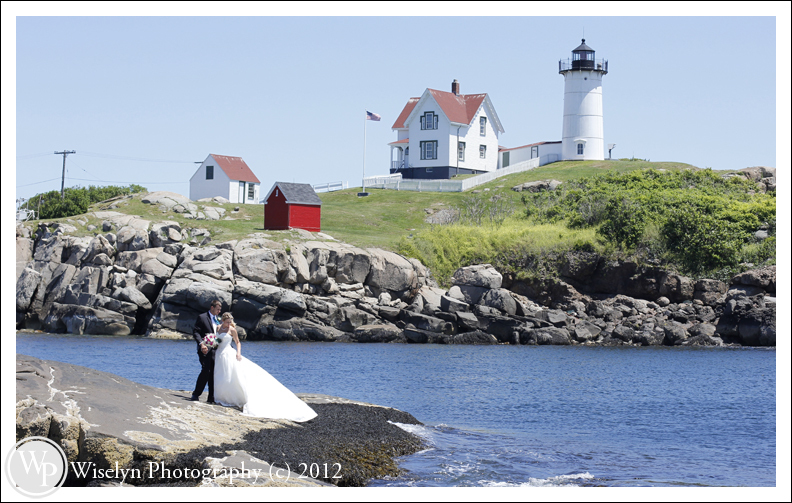 As Southeastern Maine has one of the most beautiful New England coastlines to photograph with several historic locations throughout the region. We knew Alana & Evin were going to have an amazing day. The first stop for our amazing day was the historic Nubble Lighthouse in York, Maine. It doesn’t take long to understand why this is the most photographed lighthouse on the east coast. We were just able to get a short shoot in before the heavy crowds took over for the day.